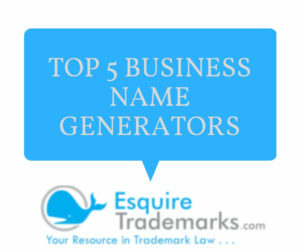 We’re sharing our favorite online business name generators on our blog! These FREE tools help you come up with a catchy business name and even check domain name availability instantly. Trademark Renewal – What is a Combined Section 8 and 15 Declaration? What is Intent to Use (ITU) Trademark Application?